Dress your guest's drink in style with a fabulous Coolaz wedding stubby holder. We always print in full-colour at the highest resolution so your wedding stubby coolers can be designed to stylishly match your wedding colours, theme or be anything you want them to be. Once you have chosen a template that you like let us know any changes to colour text, font, background and your wording, on the corresponding order page and we'll get designing. Our bespoke in-house design management system keeps track of your wedding stubby holder's design during this order process and we always send a digital proof via an emailed link so that you can check the design we have come up with for you before you make payment (proof panels and one-offs are an optional extra too). 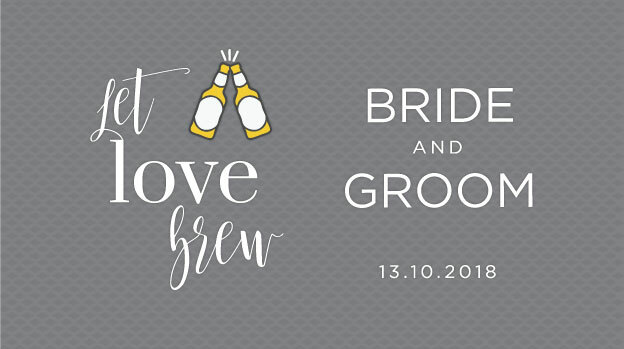 We have well over 130 brand new, fabulous new wedding stubby holder templates and each one be coloured as you like - there are literally billions of combinations possible! 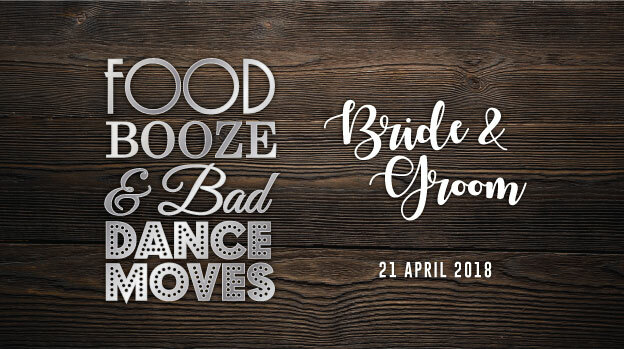 It is good to bear in mind our wedding stubby holder templates are very flexible - most of the elements can be adjusted to match your requirements, if you want to change the colours, text style and text positioning of one of the designs you see anywhere on our website just ask. BUSY BRIDE? See all our stubby holder templates on one page here otherwise choose the category you think suits you best. One of our most popular categories - certainly the most popular saying still! Click here - or any one of the images below to see all our 'To Have and to Hold' wedding stubby holder templates. There are quite a few other stubby holder sayings and quotes that make fantastic designs too. Click through here or one of the template images below to see our collection of designs and quotes. Chevrons (or zig-zags) are very de jour at the moment, but we've come up with a number of different background designs from vintage wall paper to simple bands and stripes. Click here or one of the designs below to see our stubby holder templates for this category. A name for our collection of vintage and modern designs. This category used to be incorporated in the Theme section until we literally had too many and now it has its own page of nearly twenty brilliant designs for you to choose from. Click here or one of the the thumbnails below to view them all. From a Country and Rustic look to Film and Literary inspired designs our Themed collection covers a very large scope. The rustic wooden background designs in this category are very popular at the moment, Click on one of the images below or here to see more. Look for something more casual or fun? Then take a look in our illustration and cartoon section for your wedding stubby holders. From simple rustic sketches to full colour cartoon caricatures - click here or one of the images below to view them all. If you are heading off to a local or exotic beach location for your wedding then these will be fantastic keepsake for your accompanying guests. And, of course, a fabulous way to keep everyone's drinks cold on the beach! Click here to see all of our templates. Maybe you have picture of the location you are getting married, a special photo of a place or of the happy couple that will look great - we can drop that onto any design or use it as a background for your wedding stubby holder. Click here to see our series of colour palettes to inspire your wedding stubby holders design. From warm tones to fresh citrus looks, our growing library of images and design will surely help - and it also is great introduction to our new online design tool. 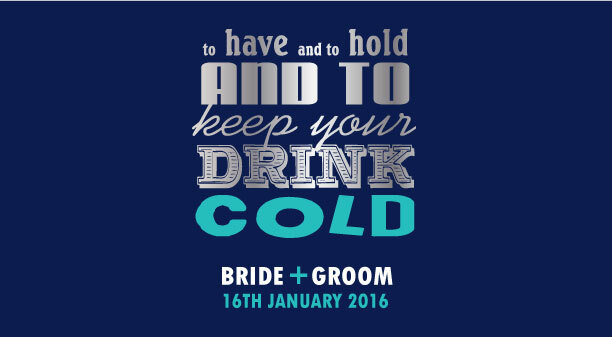 We can of course accept designs for your wedding stubby holder by yourself, a friend or one a graphic designer has put together for you. We accept many different formats (click here to read more about our design requirements). Combine your bomboniere stubby holder with a place name - our digital process means that we can customise our wedding stubby holders with relative ease and for just a small charge each cooler can have the guests name printed on it. That's right - every guest has there OWN personalised stubby holder! Some stubby coolers the same, and some are with names on. Useful for giving the groomsmen and bridesmaids a little personalised keepsake. Just tell us how you'd like to split the order, for example: 100 coolers, of which 12 are individualised. Why not mix up your foam colours - we can easily supply you with a 50:50 split in the backing foam interior or base (depending on the product you order) colours for your wedding stubby holders. With 13 different colour foams to chose from we are sure to have some great colour matches. How about blue foam for the guys and a hot pink for the ladies? Looking for wedding colour inspiration? Check out our inspiration page - with loads of neat ideas to help you create your very own personalised stubby holder design.